Monday mornings are bad enough, but with Barcelona’s sunny Sónar festival fresh in our memory and the rainy British summer in full swing, this one is particularly painful. Still, what a week it was – Point Blank had the pleasure of hosting not one but two masterclasses at the famed Sónar+D, the educational, technological and creative arm of the famous Spanish festival. Read our Sónar 2016 wrap up below and make sure you subscribe to our YouTube channel to catch the masterclasses in full. We started our Sónar adventure on Friday as we made our way to the Sónar+D area. The main Stage+D was surrounded by smaller booths with everything from quirky synths and DIY music projects to Richie Hawtin’s Model 1 mixer all on display for the intrigued festival goers to play with. After some fascinating talks from the likes of CDM’s Peter Kirn and a killer live performance from KiNK using the new Pioneer nxs2 range and TORAIZ SP-16 sampler, it was time for us to take the stage with Richie Hawtin to discuss his Model 1 mixer and PLAYdifferently movement. It was a great talk, full of info on Richie’s approach to performance, how the mixer itself works as well as an exclusive live performance. Make sure you subscribe to our YouTube channel to see the full masterclass, coming soon. A great afternoon with @pointblankmusicschool at @sonarplusd presenting our @playdifferently #model1 mixer and discussing the importance of developing your own identity in the world of electronic music. Next up was PB lead course developer and instructor Ski Oakenfull who tackled New Order’s classic ‘Blue Monday’ with one of his world-famous deconstructions. It was a pleasure to close the whole Stage+D area and Ski did not disappoint, offering plenty of insight into what you can learn on our courses, as well as the inspirations, notes and chords behind the famous track. Next it was time for a well-deserved game of futbol in Sónar VIP area before catching Running Back boss and feel-good party-starter Gerd Janson at the RBMA stage. Once the By Day activities had ended, it was time to take the trip to By Night for a solid lineup of electronic music heavyweights including Kode9, Flume, Kerri Chandler, Four Tet and Mano Le Tough. There was just enough time to catch some of the Spanish sun before heading back to London. Once again Sónar has proven itself to be one of the most forward-thinking electronic music festivals on the planet. Not just because of its lineup of acts – Sónar+D is equally as progressive, providing inspirational and insightful talks and workshops with industry leading representatives like Point Blank. See you next year, Sónar! The post Point Blank at Sónar 2016 appeared first on Point Blank’s Online Magazine. We strive to give our students and alumni unique opportunities to get involved within the music industry. These come exclusively from our extensive network of industry contacts, and can range from DJ performances to internships and paid roles too. Scroll down to see what’s popping this week, and for those that want to access many more ongoing opportunities like this, you can find out all about our courses right here! Please remember – all of the opportunities detailed below are for PB students and alumni only. Following their first successful search for a new writing artist TRSE has never engaged with before, TRSE is offering £500 to a singer-songwriter/musician/composer to join them this summer for a new project. They are looking for new and emerging music artists they have never engaged with: Forward-thinking singer-songwriters/musicians/composers who can tell stories with beats, notes and words. It doesn’t matter if your preferred style is R&B or bluegrass or grunge rock, they want to hear from you. They’re looking to create new theatre pieces that cross genre-boundaries. How can they play with story and structure with artists from different areas to create theatre that really speaks to and reflects our current lives; that talk about how we live today. How can they use music to tell stories that move people and affect change? They are especially interested in meeting BAME music artists, but are open to anyone creating music they think fits what they’re trying to do. You don’t need to have written a theatre piece before, but you do need to be interested in blending that form with your work to form a hybrid. If you love to tell stories through music and words, they want to hear from you. They are specifically looking for artists to join them for two weeks this July to work on a new piece of theatre in collaboration with book writers and/or lyricists. Interested artists should send in one song that best reflects their work (you are welcome to also include links to Soundcloud/Vimeo/etc.) as well as a brief bio introducing themselves and why they chose that one song. All entries need to be received by midnight on 22 June and can be emailed to louise@pointblanklondon.com. The post Student Opportunities: Theatre Royal Stratford East is Looking for Emerging Musicians appeared first on Point Blank’s Online Magazine. AGNT is a digital platform that connects DJs and organizers like never before by providing unrivaled access to thousands of real DJs that fit any style or budget, and a suite of tools that manages every stage of the booking process. 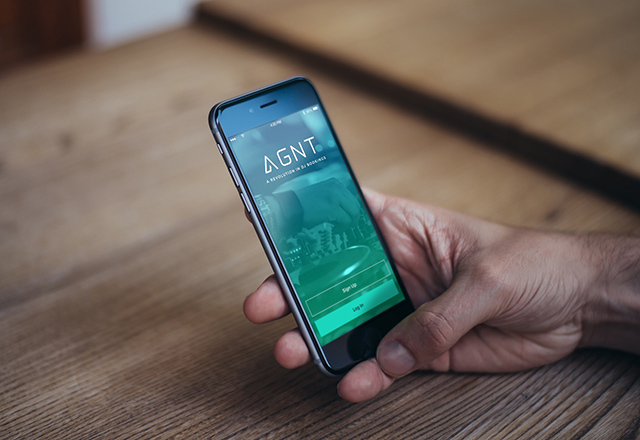 AGNT is a revolutionary new desktop platform and iOS app that connects DJs and organizers in a complete end-to-end process. 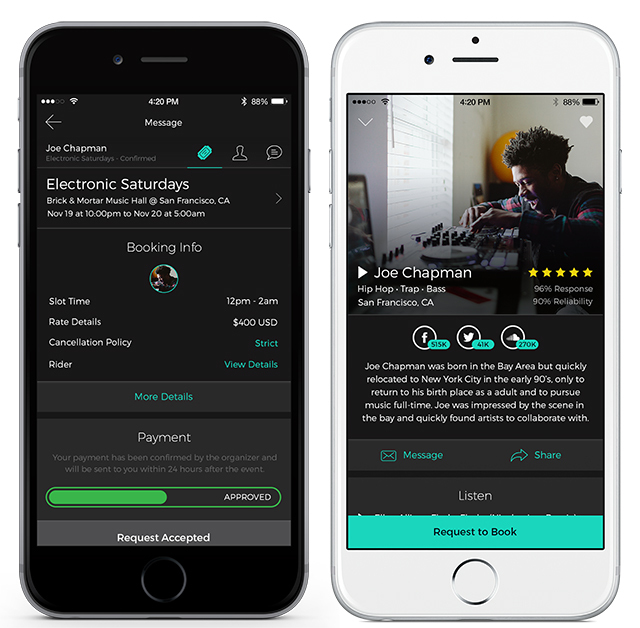 AGNT transforms the booking process for artists and organizers by offering a marketplace with access to thousands of DJ’s and event listings for any style or budget across the U.S. and Canada. The platform utilizes a suite of tools to manage all the logistics and transactions seamlessly from beginning to end making the booking process extremely convenient and secure. With AGNT, anyone can book the perfect DJ for any event, and any DJ can find new gigs, new audiences, and a whole new level of exposure. For organizers, AGNT is the easiest and most secure way to find the perfect DJ for any event. The platform brings together thousands of DJs that fit any style, budget, or event, and handles every stage of the booking process, so all you have to do is find the DJ that’s right for you. With secure payments and a verified review system, you also get peace of mind with every booking. For artists, AGNT provides unparalleled access to new gigs and opportunities no matter what skill level. The platform allows you to promote yourself to a huge pool of organizers, and proactively apply to open events in any city. With AGNT, you never have to worry about getting burned by shady organizers because the secure payment system ensures you alway get paid for your efforts. The AGNT web portal is responsive, and will work on all devices, including Android. To set up an AGNT profile, users can sign up as either a DJ or event organizer for free using their email or Facebook login. For DJ’s, AGNT becomes a self-promotional tool that also boasts a built-in music player to feature DJ sets. A DJ’s customizable profile can include a bio, portfolio links, required equipment, price range, calendar availability, social reach, cancellation policy, and more. It gives DJ’s the ability to view all upcoming promoter listings within designated radius and to send in an expression of interest to perform at listed events. For event organizers, bookings are simplified allowing search options based on a DJ’s location, genre of music, date, and price. The fully automated system also includes verified DJ reviews and advanced event management tools to handle all event logistics, negotiate fees, and secure payments. Once a match is made, and both parties have confirmed the booking, AGNT will coordinate payment charging a 6%-10% service fee. AGNT co-founders Viet Nguyen, David Nguyen, and Mike Henderson bring a wealth of experience to the platform, informing the features, usability, and transactions. Viet Nguyen has over 17 years experience in IT and as a talent buyer and DJ in West Canada, booking over 500 DJs across multiple venues. David Nguyen brings his extensive background in UX and graphic design in branding, mobile and web design to AGNT’s platform. Mike Henderson is a modern day dance music entrepreneur with 17 years experience as a DJ, tour manager (Sasha, Pete Tong, Nicole Moudaber, Dubfire, Sharam), Native Instruments Traktor Trainer and Dubspot DJ School instructor. Collectively, they bring an acute understanding of the practical needs and business acumen required in the specialty trade of booking DJs. Upload your mixes, promote yourself, and get booked! Fully automated payments. Never get burned again! AGNT is available to download from the App Store here. To find out more, go to AGNT.com. The post AGNT: A Revolution in DJ Bookings appeared first on Dubspot Blog. Point Blank x Defected Course: Sign Up + Get Free Defected Sample Packs Worth Over £300! This summer, Point Blank will be teaming up with global house brand Defected to bring you three unique, intensive courses in our brand new London facility. If you live and breath dance music and want to learn to DJ and produce while gaining valuable insights from one of the most respected brands in dance music, listen up. In June, the Point Blank x Defected DJ and Music Producer course will take up residency at Point Blank’s Orsman Road studios in the heart of Hoxton. This one-off seven-day course commences 25th June 2016, offering beginner-level students the opportunity to learn from Point Blank’s top team of professional instructors as well as attend exclusive artist and guest masterclasses spearheaded by key members of the Defected family. This two-pronged approach means that students will not only discover how to craft their own dance tracks using Ableton Live and mix using vinyl, CD and digital platforms, but also be party to the kind of industry insight and perspectives that can take years to accumulate. What’s more, all students enrolled on the course will receive six Defected Sample Packs and volumes 01 – 13 of Defected Accapellas Deluxe worth over £300. What better way to get those production muscles flexing? Drawing upon the world-leading expertise of Defected’s A&R team and artists including Copyright and Man Without a Clue, Defected’s Masterclass topics include everything from DJing, creative workflow and track deconstruction right through to how to approach A&R and how to start a record label – with the latter led by Defected founder Simon Dunmore! In short, everything the modern producer and DJ needs to get out there and start making their mark in the music industry. What’s more, for those who would prefer to focus exclusively on either DJing or music production, we also offer two shorter courses which cover each discipline separately. Head here for further details and to book the PB x Defected DJing course and here for the PB x Defected Music Production course. To enrol to the PB x Defected DJ and Music Producer course follow the link. All three courses are ideal for beginners serious about succeeding within this highly competitive world, and spaces are strictly limited. Enrol now to safeguard your place or contact a course advisor for more information. You can also give us a call on 0207 729 4884. If you’re calling from outside of the UK, call +44 20 7729 4884, and if you’re in the USA call 323 282 7660. The post Point Blank x Defected Course: Sign Up + Get Free Defected Sample Packs Worth Over £300! appeared first on Point Blank’s Online Magazine. The post Music Tech News: 10 Emerging Technologies and Announcements appeared first on Dubspot Blog. 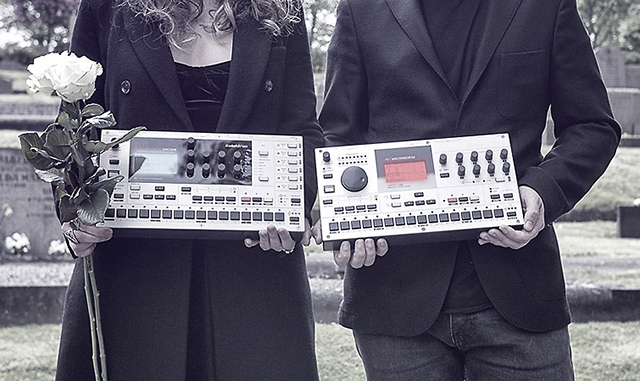 SONAR+D is the conference arm of Barcelona’s world-famous electronic music festival. Featuring educational and creative discussions, workshops and panels, SONAR+D has gone from strength to strength and this year we’re getting in on the action with an exclusive masterclass from techno legend Richie Hawtin. Richie’s new Model 1 mixer and the PLAYdifferently campaign around its launch focus on the expansion of creativity in the DJ booth – we’ll be talking to Richie about his approach to performance, why he decided to design a new type of DJ mixer and giving the audience a chance to ask their questions. Join us at 18:30 on Friday at SONAR+D HQ. If you’re at SONAR make sure you join us on the day and subscribe to our YouTube channel so you never miss another live event. At Point Blank you can learn how to DJ no matter what your skill level. If you’re looking to refresh you skills on the latest CDJ equipment, make the move to Traktor or master vinyl mixing, you can learn it all and more on our Complete DJ module, part of our Music Production and Sound Engineering Complete Master Diploma. Our Complete Master Diploma also features modules covering mixing, sound design, mastering and even music business, giving you the complete skill set for a successful career in music. Find out more here. The post Point Blank x SONAR+D: Richie Hawtin Masterclass appeared first on Point Blank’s Online Magazine. 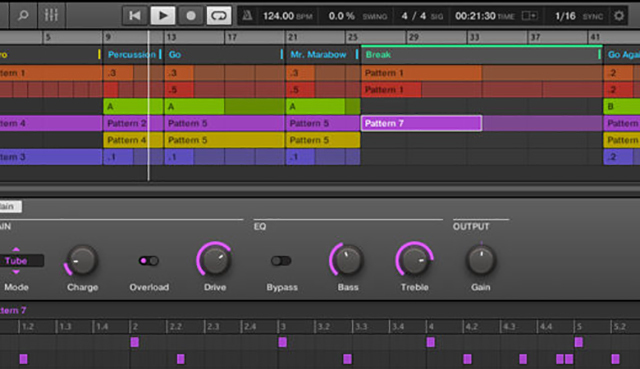 Native Instruments releases free MASCHINE 2.4.5 software and REAKTOR Blocks 1.2 updates. Native Instruments MASCHINE 2.4.5 update brings a new set of power features to MASCHINE’s sampling capabilities designed to make your production workflow faster and more intuitive than ever. Additional improvements include new ways to work within the Scene paradigm in MASCHINE, new options for exporting audio, enhanced third-party plugin features, and more. The MASCHINE 2.4.5 software update is free for all owners of the MASCHINE 2 software and is available now via Service Center. MASCHINE’s exciting 2.4.5 update includes many improvements and functionality enhancements users have been waiting for. 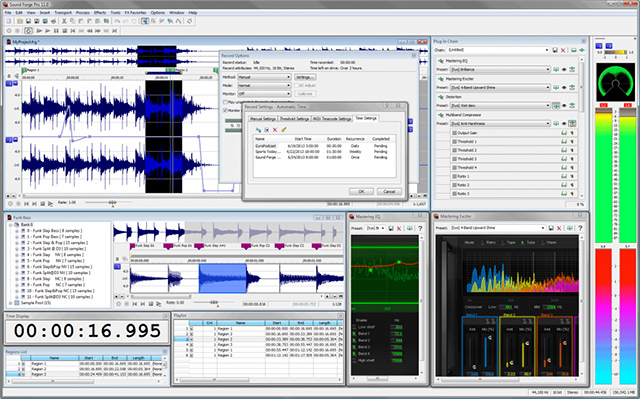 The two standout feature advancements are real-time slicing capabilities and REAKTOR Blocks integration. 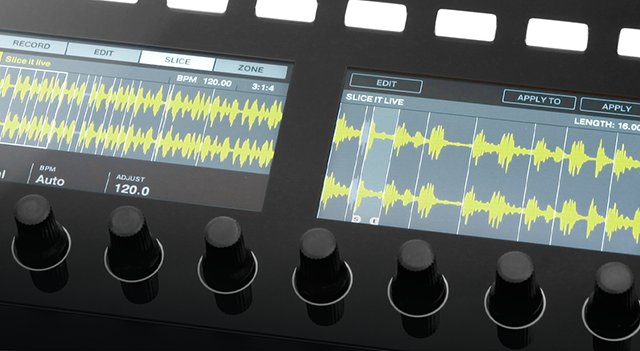 MASCHINE’s Manual slicing mode now features a new, intuitive way to work with your samples. Users can quickly insert slice points on MASCHINE’s pads while the sample is playing, making it even faster to slice and work with samples on-the-fly. REAKTOR Blocks 1.2 update adds major improvements for integrating hardware into REAKTOR-based setups. Among the many upgrades, REAKTOR Blocks 1.2 also marks the release of nine new Blocks that add enhanced functionality to MASCHINE and dedicated drum voices to the REAKTOR Blocks framework. The new MASCHINE Sequencer Block is an eight-channel trigger sequencer designed to control Blocks patches directly from the MASCHINE MK2 controller. 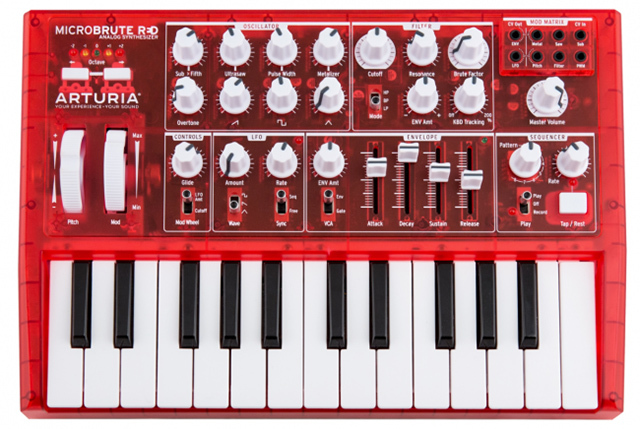 The sequencer also features a Euclidean pattern generator that automatically creates new polyrhythmic structures within a sequence. A new Variable Scene Length feature allows Scene lengths to be set independent of the length of patterns. This addition makes it easier to create polyrhythms by freeing users from extending a pattern just to fit the scene it resides in. Internal plugin settings are now savable as defaults. The ‘Save As Default’ function lets you save your favorite plugin settings as defaults, accelerating workflow by eliminating the need to setup your favorite settings each time you load a plugin. In addition, users can now seamlessly browse, edit, and perform with third-party plugins thanks to the new Native Kontrol Standard (NKS) – Native Instruments’ groundbreaking extended plugin format. 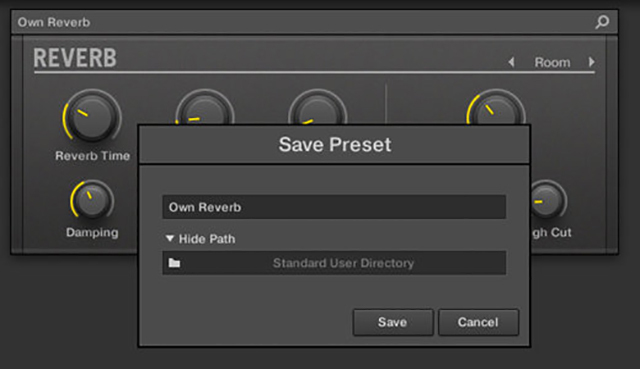 MASCHINE 2.4.5 also features the ability to export Scenes as audio. Splitting audio by Scenes is extremely useful for starting an idea in MASCHINE and finishing it in a DAW. Additional export settings improvements include the capability to export audio as lossless .AIFF files and the ability to browse by product groups. This feature is especially useful when searching for third-party plugins using the Native Kontrol Standard (NKS) file format. The post Major Updates for MASCHINE Users appeared first on Dubspot Blog. One of the underlying themes of the Loop event in Berlin last November was to examine some of the many ways producers relate to sound in their environment – whether it was Holly Herndon’s internet-inspired digital utopia, Matthew Herbert’s discussion around his musical manifesto or AGF’s workshop on field recording….